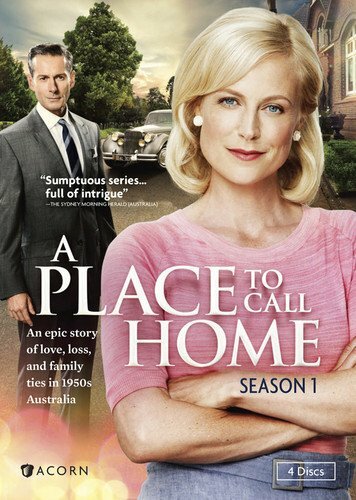 Gorgeously filmed and masterfully acted, this sweeping drama follows Sarah Adams (Marta Dusseldorp, Jack Irish), a nurse returning to 1950s Australia after 20 years in Europe. A convert to Judaism, Sarah emerged from the horrors of World War II strong, principled, and defiant-a thoroughly modern woman still bearing the weight of the past. On the ship home, Sarah meets the wealthy Bligh family. She quickly charms dashing widower George (Brett Climo, Snowy River: The McGregor Saga) and his spirited daughter, Anna (Abby Earl, The Great Mint Swindle). Less pleased is his mother (award-winning actress Noni Hazlehurst, Little Fish), particularly after Sarah witnesses a desperate act by George’s son, James (David Berry, Home and Away). As Sarah settles into life in her new town, Mrs. Bligh does everything she can to maintain her iron grip on her family-and keep Sarah out of it.